When you look and feel your best, people notice the difference. Modern cosmetic dentistry can totally transform your smile if you want to change your image. If you are considering more than one procedure, you may want a smile makeover, a comprehensive combination of cosmetic dental procedures intended to enhance your smile’s beauty and appearance. The makeover will focus on correcting various problems, including broken, chipped, crooked, missing, or discolored teeth. With a smile makeover, Sninski & Schmitt Family Dentistry can also fix uneven, unsightly gums. The makeover process can also dramatically change the length, width, color, and shape of your teeth to produce a uniform, vibrant appearance. Our knowledgeable and compassionate dentists will talk with you about whether you want a more attractive smile line, shorter gums, or even whiter teeth. A smile makeover, however, is not just cosmetic in approach. During the evaluation, Sninski & Schmitt Family Dentistry will also check for functional problems such as a bad bite or malocclusion. Consistency. Having multiple cosmetic procedures performed by us will help you avoid variances and differences that can occur when several dentists with different techniques and materials perform the same procedures over a longer period of time. Minimizing Office Visits. With a comprehensive smile makeover, our dentists can group the cosmetic procedures in a more efficient manner so as to save you time and minimize office visits. Saving Money. Because a smile makeover is intended to provide a comprehensive solution, patients can avoid redundant dental procedures. I want to change my smile. What do you suggest for a smile makeover? No two people are exactly alike, and no two smiles are completely the same. To start the smile makeover process, the first thing you need is a consultation appointment. At this visit, Sninski & Schmitt Family Dentistry will listen to your ideas, show examples of possible changes, examine your mouth, and craft a custom plan to update your smile. Won’t a smile makeover cost a lot of money? Every case is different. Until you meet with Sninski & Schmitt Family Dentistry, it’s hard to estimate price. However, not taking care of your teeth can result in additional expenses to repair damage and improve your appearance. 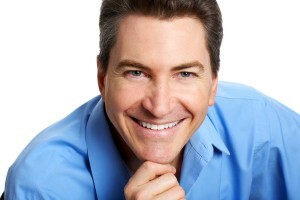 What options are available for smile enhancement? You deserve a beautiful smile that matches your style and personality. For a smile makeover tailored to fit your needs, Sninski & Schmitt Family Dentistry may suggest porcelain veneers to close gaps, teeth whitening to remove stains, and porcelain crowns to replace old restorations. If you are missing teeth, dental implants can give you back a complete smile. The experienced professionals at Sninski & Schmitt Family Dentistry want to help you achieve the bright, beautiful smile you’ve dreamed of! Reach out to us today by calling us at 919-600-6262 (Holly Springs) or 919-467-2203 (Cary) or schedule a consultation online now with one of our dentists. Copyright © 2019 Sninski & Schmitt Family Dentistry. All rights reserved.